In 47 years, I’ve never tried macrame and so today’s challenge is a decorative knot-tying adventure! 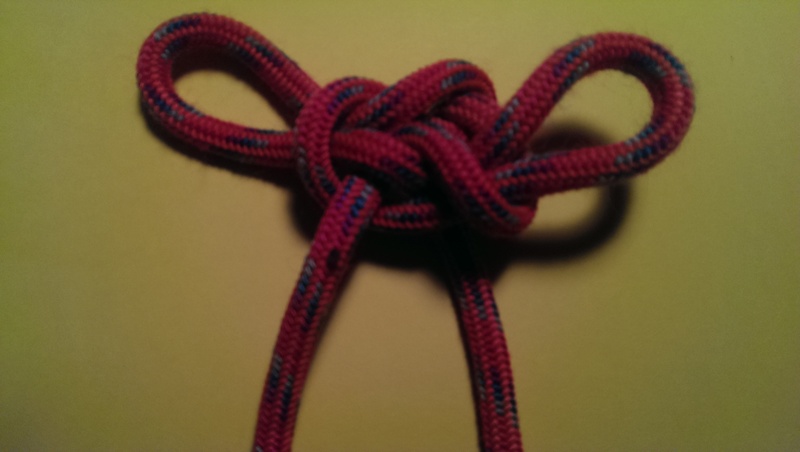 I have chosen to learn how to tie the Maedate Knot . This knot was inspired by the kuwagata, or twin-horned crest, of the samurai helmet. I followed this brilliant (and very short) YouTube tutorial which also gives more fascinating information about the origins of this knot.